Rebecca Holcombe, the secretary of the Agency of Education, presented two scenarios to lawmakers on Friday. School A has 300 students and a long list of science classes and several science teachers, including a few Advanced Placement classes, while School B has 80 students with teacher offering a few classes in basic science courses. “If you were a parent, which of these schools would you want your kid to go with?” asked Holcombe. She asked lawmakers to imagine a student trying to get into college from both those schools. “How competitive is that? These kids are really at a disadvantage,” she said. “This is not equity. That stark contrast in educational resources is just one sign of the stresses schools are facing as student enrollments continue to decline across the state. Enrollments hit a high of 104,000 students in Vermont more than 15 years ago; now there are about 78,000 K-12 public school students, according to the Agency of Education. Most of the depopulation has occurred in the state’s hamlets, villages and small towns, especially in the Northeast Kingdom and parts of southern Vermont. Meanwhile, classroom sizes have increased in cities like Montpelier, Winooski and Burlington. Schools that are seeing declines in enrollment are spending more on a per pupil basis, Holcombe said. “We are trying to support a system built for many more kids,” she said. 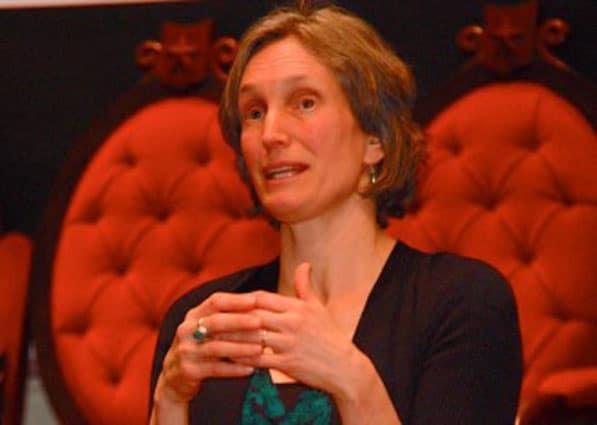 Holcombe also showed a chart illustrating how a bubble of baby boom generation retirements will result in fewer wage-earning, taxpaying workers in Vermont. As the number of taxpayers drops over the next 10 years, there will be less money to pay for education. “Fewer kids and fewer people paying taxes … that’s something we have to think about,” Holcombe said. “The reality is that we have some really profound demographic challenges,” said Holcombe. “How to prepare ourselves for a future in which we are a little bit smaller,” is the work that lies ahead. Schools that are faced with dramatic drops in student population are already looking for help from the state, Holcombe said and for some schools the difficult choices are here now. “We’re not ready. We’re still trying to hold onto what we’ve been, and we haven’t figured out what we’re going to be,” she said. “What we’ve been is not going to be better. This is an extraordinary opportunity to put our heads together, our shoulders together, and figure out what it means to be a Vermonter. I can tell you that it has to be different,” she said. Holcombe offered a detailed picture of where the state’s education system is and the complex issues facing the Legislature as it looks to improve educational quality for schoolchildren and heed taxpayer frustration with recent hikes in the statewide property tax rate. But while the formula levels the playing field financially, the state and local communities need to ensure children are getting the kind of instruction that will enable them to become successful adults, Holcombe said. “I need people to understand that what we are asking our schools to do today is profoundly different from what we asked them to do 20 years ago,” Holcombe said. Giving preschoolers, especially children coming from poverty, an early start with universal pre-kindergarten being mandated next year will improve their outcomes during the rest of their education, she said. Holcombe shared some charts and statistics about equity, and learning gaps. Students from more affluent backgrounds are doing better in school, while students from other socio-economic groups, including those who receive free and reduced cost meals, are not doing as well. “We are not seeing a gain for those kids, quite frankly, and that is something we should worry about,” Holcombe said. Reaching out to “first generation children, who may not know anyone who was successful in college,” is a major emphasis. The state is bridging the divide by giving seniors an opportunity to attend college their last year of high school through a program known as dual enrollment. Dual enrollment programs allow high school students to earn college credits while they are still in high school. Turnover in leadership in the state’s schools is another major concern, she said. Holcombe showed a map of the state marked with dots in different colors, which indicated that some schools have had as many as six principals in five years, or five in five years, or three in five years. High turnover among superintendents is also a problem for some districts.